There are some wonderful organizations for women aviators, and I would love to have you connect with the Aviatrix group on Hangarchat: http://myhangarchat.com/group/aviatrix. Its a great way to meet, friend, learn and discuss with other women about all things in our aircraft world! If you have any fellow aviator women friends, please invite them to join as well, we'd love to meet them! Hope to see you on there! PS- Will you be attending Oshkosh this year?! 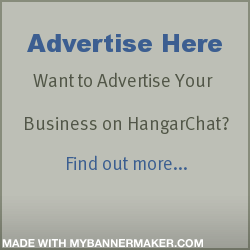 I'd like to meet my Hangarchat friends, I'll be at the Hangarchat tent! RSVP: http://myhangarchat.com/events/eaa-airventure-2011-oshkosh Hope to meet you! Hey Georgina, I am Whirly Girl #979...I am in west palm beach Florida. What are you flying/doing? I own and operate a Part 141 Flight School and a office in Nassau Bahamas for aerials/sightseeing.